We have scouted every corner of the Lancaster, PA area to find the highest quality Amish crafted sheds, swingsets, and entertainment areas. 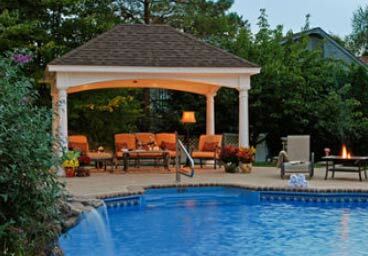 Would you prefer a pool house or pergola? 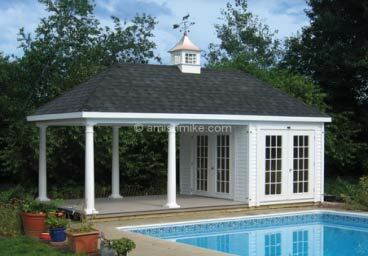 Drop a gazebo in, or have a pavilion erected? 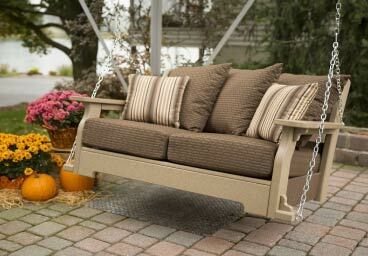 How a bout something for the kids to do such as playhouses or swingsets? 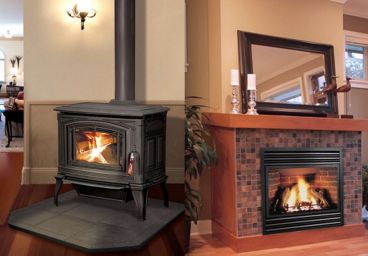 These products are made with classic styling and integrity. Nearly all items are available in your choice of colors, and many are able to be customized to your specs since they are hand made one at a time. 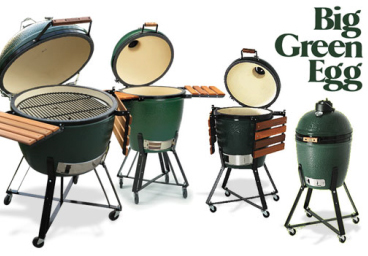 We offer free delivery and setup within the Annapolis, Baltimore, and DC metro area as well as most of Maryland's Eastern Shore. 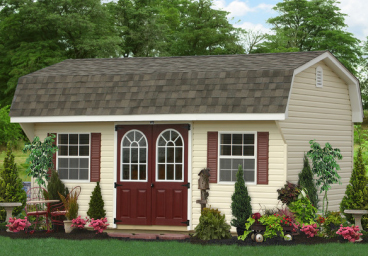 No matter how big or how small, our buildings are the perfect fit. 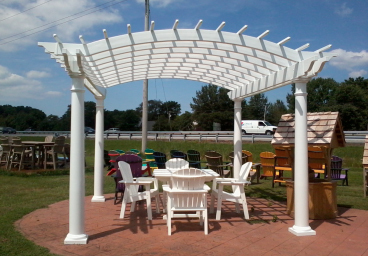 We offer cottage (A-frame), Barn, and Quaker styles that will match your home perfectly. Buildings are available in vinyl or wood siding. 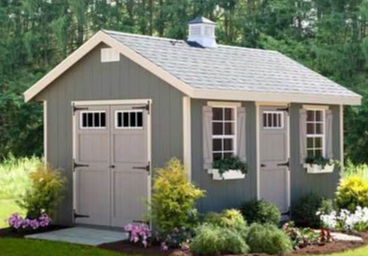 Reclaim your garage today! The best backyard getaway. 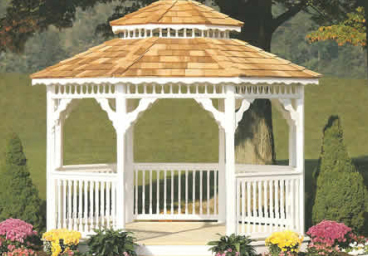 We have round or square gazebos with your choice of styling. Your structure is available in natural pressure treated pine, cedar, or vinyl sheathed and available shingled, cedar shake, or metal roof. 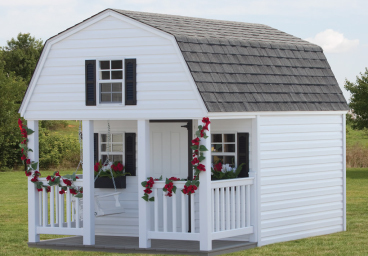 Playhouses are built with longevity in mind. 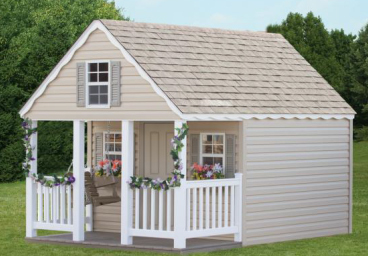 They are constructed of the same high quality materials as our sheds, and are moveable for future uses when your child has outgrown them. Encourage active outdoor play time and build imaginations!!! Backyard Billy's vinyl clad playsets are built to the highest quality and safety standards, ensuring many years of enjoyment for your child. 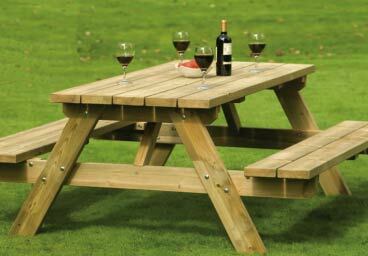 Sets are also available in treated pine, bare, stained or painted. Custom build your set from mild to wild! 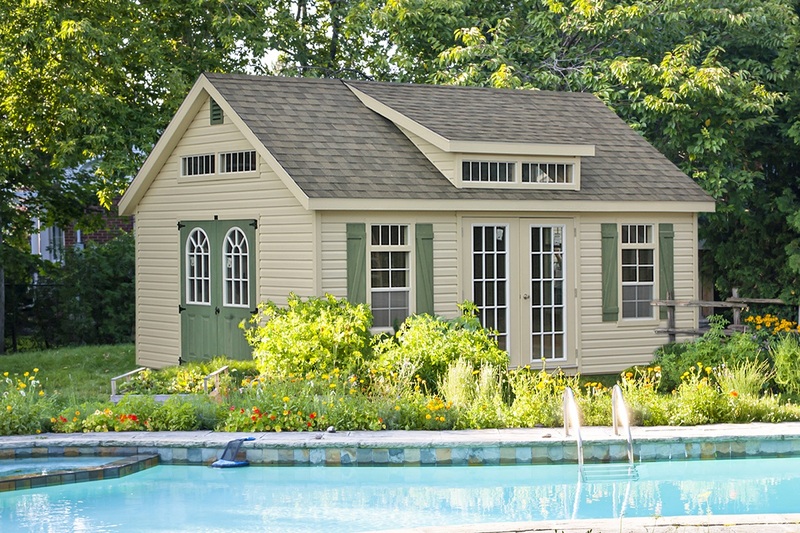 A huge variety of options, from screened in porch or patios, to pavilions with a pump house or changing room, our poolside buildings will fit the bill. As always, your choice of materials available. Even concession stands and poolside bars. Rural life at its best. 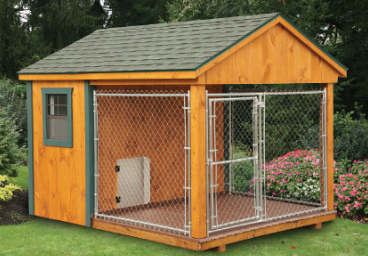 We have beautifully crafted and functional chicken coops, dog houses and kennels, as well as rabbit hutches, and even horse barns and run-in sheds to keep your animals safe and secure. Many shapes and styles. 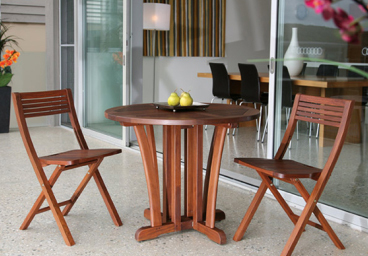 The ideal rural design accent. 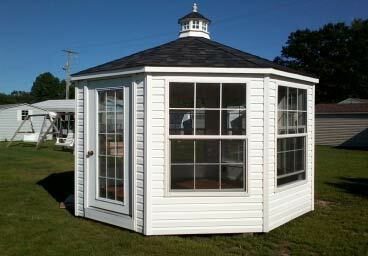 Cupolas available in both wood and poly lumber construction, your choice of roofing, vented or not. Sizes for your shed, barn or home. 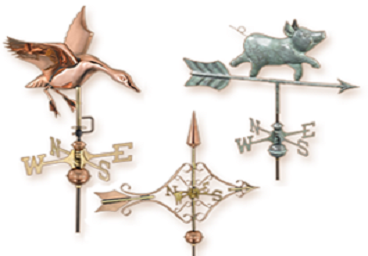 Add a quality copper weathervane for a personal touch - many available themes and styles! Call the store for more details. 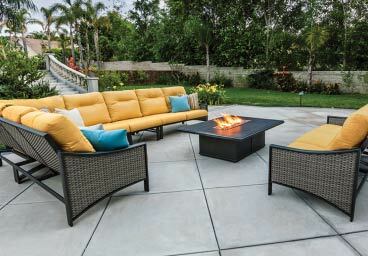 Make your backyard oasis the envy of all with our landscaping accents. Bridges from 3' decorative to 30' and functional will always fit your project. 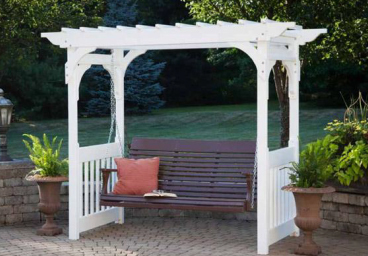 We have arbors available in several styles, as well as planters and planter benches, or a trellises for your vegetation. Call the store for more details.